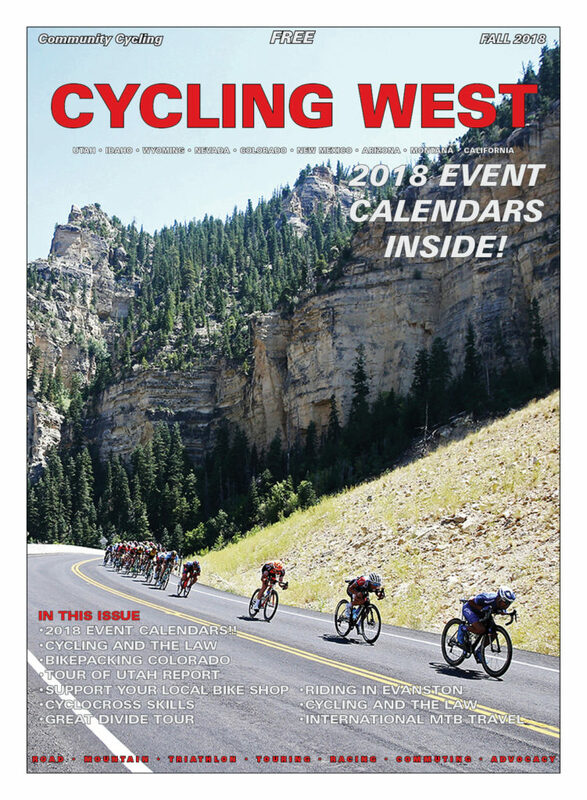 Cycling West and Cycling Utah’s Fall 2018 Issue is Now Available! Cycling Utah and Cycling West Magazine's Fall 2018 Issue is now available as a free download (8 mb download), Pick up a copy at your favorite Utah, Idaho, Wyoming, Nevada, Montana, W. Colorado, N. Arizona bike shop or other location! Cover Photo: The peloton descends Cedar Canyon from Cedar Breaks to Cedar City during stage 1 of the 2018 Tour of Utah, August 7, 2018, Cedar City, Utah.